1. 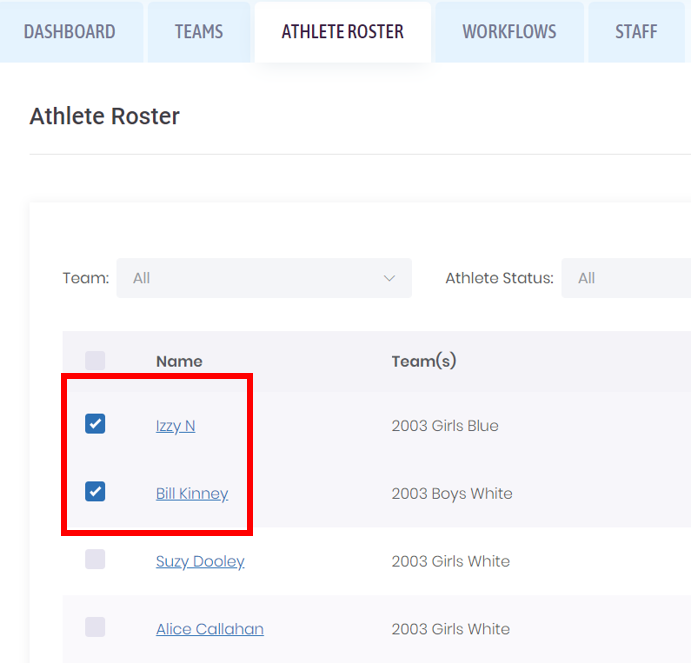 Select the tab at the top of the dashboard that corresponds with who you would like to run the compliance report for. Compliant – All steps for concussion education compliance have been completed. Non-compliant – Some or no steps for concussion education compliance have been completed. Removed from play (Athletes only) – An athlete has a suspected or diagnosed concussion and are ineligible to play until a medical provider has cleared them for ‘Return to Play’. 2. 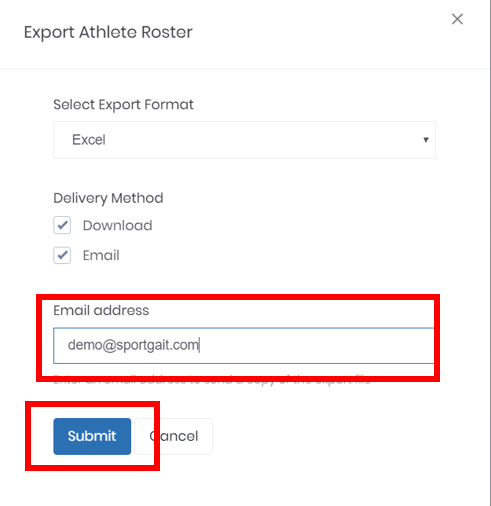 To run the report, select the athletes you would like to run a report for by selecting the checkbox to the left of their name. 4. Select the format you would like the document in: Excel or CSV. 5. Enter the email address you would like to send the report to and click “Submit”. 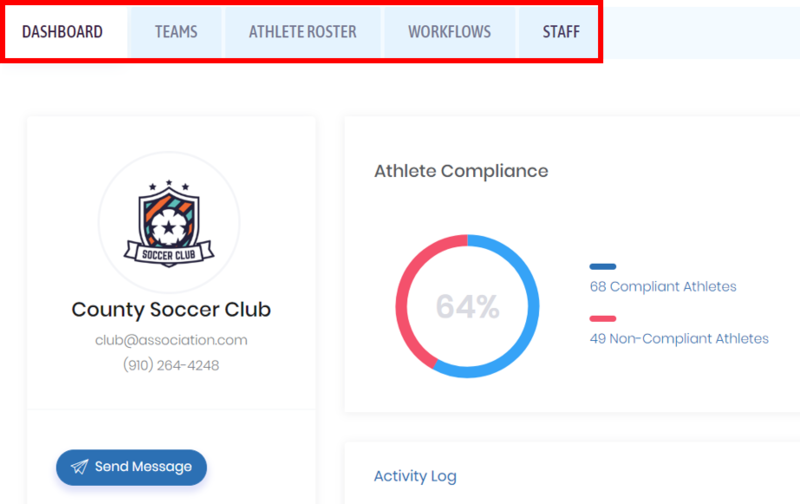 State Associations have the added ability to run compliance reports for clubs by selecting the “Clubs” tab at the top of the dashboard. 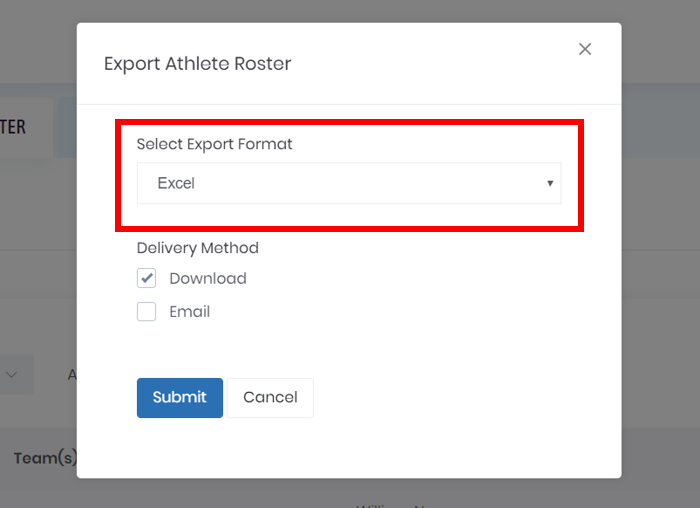 From here you can export these lists the same way you would for a team or athlete. 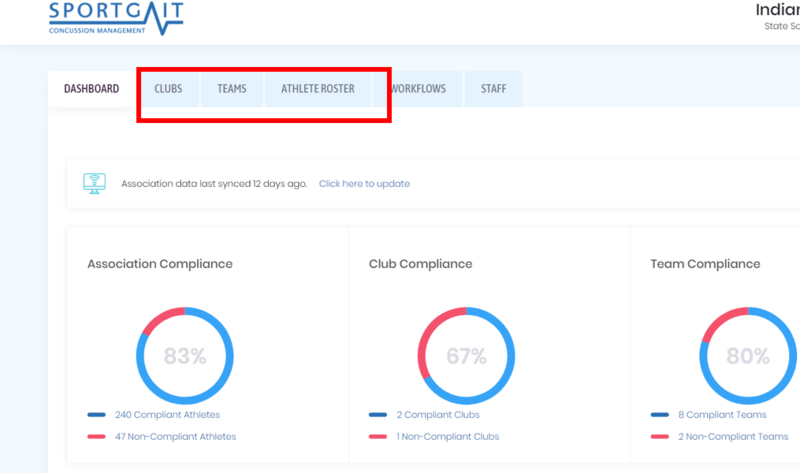 Admins can filter clubs by their compliance status or run a report of all clubs.